DTG heat presses are designed and built to the highest standards. 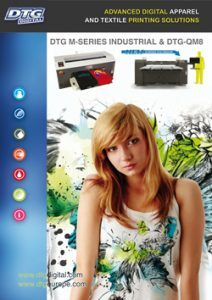 The DTG Express Heat Press cures or dries your garments after printing. The high quality elements of the DTG Express Heat Press ensures that there is an even distribution of heat across the head avoiding ‘cold spots’ – a problem often suffered on lesser machines. We have presses and fittings that will enable you to apply heat and pressure exactly where it is required. This is particularly useful where the product consists of parts that may be damaged by high temperatures. 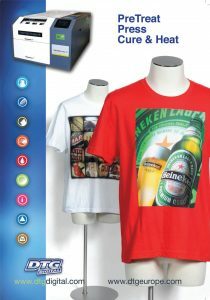 The DTG Express Heat Press is fully adjustable for temperature and pressure and are the perfect accompaniment to your direct to garment printer. 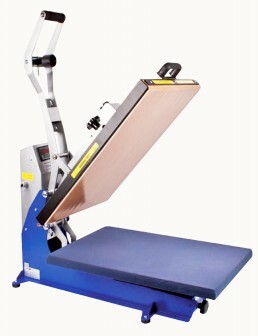 The DTG Press Express Clamshell & Swing Arm SIZE 1S/2S/3S/DTG is an automatically opening heat press, not only for beginners. The ‘Clam & Swing’ thinks and opens automatically and has the option of three different plate sizes for flexibility. Specially developed for direct to garment textile printing, this press has a perforated bottom plate and thus diverts the moisture down, resulting in better and faster fixing technology. Thus, reduce the setting times by half the previous time. This saves time and protects your fabric.